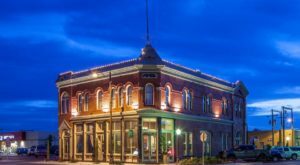 We all need a break from time to time, and there’s no better place to kick back and relax than at a quaint and historic inn. 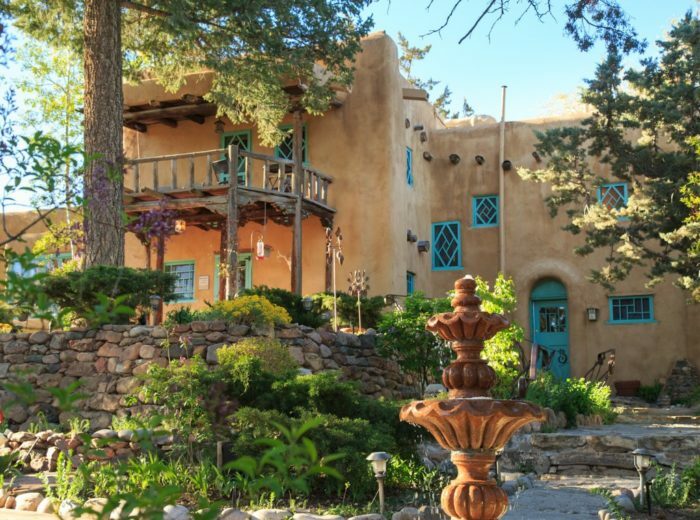 While there are many awesome places to stay in the Land of Enchantment, this one turquoise bed and breakfast is a beautiful getaway with true New Mexican hospitality. 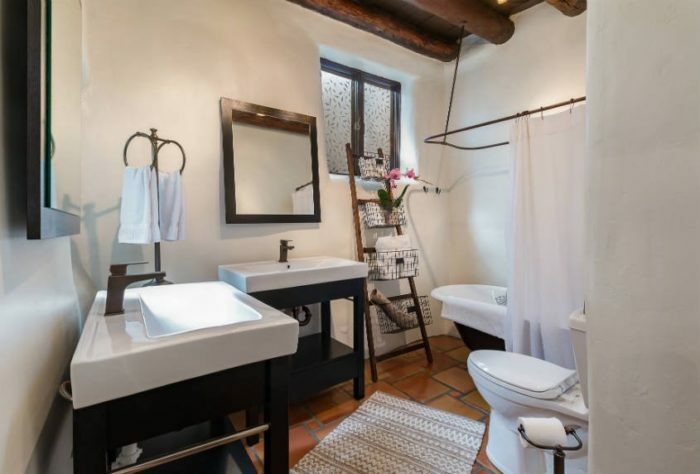 When it’s time for your next weekend getaway, check out this amazing inn in the heart of Santa Fe. 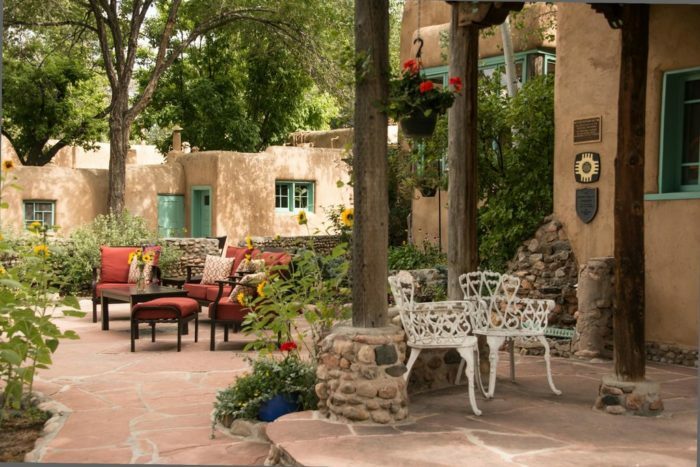 Welcome to Inn of the Turquoise Bear in Santa Fe! 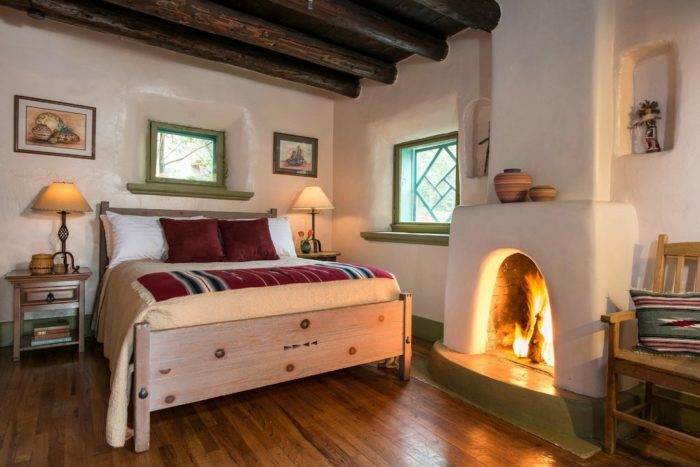 This amazing bed and breakfast is a true New Mexico hotel right in the heart of Santa Fe, and has the turquoise attire to prove it. 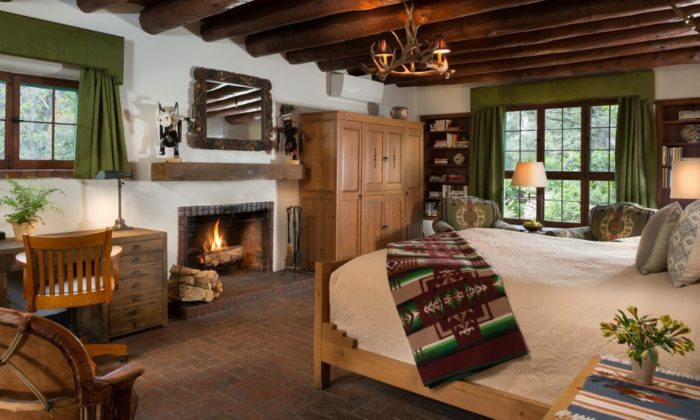 Inn of the Turquoise Bear is a number one ranked bed and breakfast that offers comfort in true Santa Fe style. 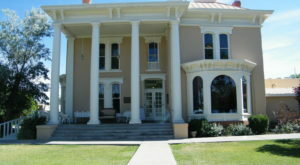 The historic adobe holds so much charm and heritage. This estate used to be the home of American poet and writer, Witter Bynner. The hosts, Dan and Alex, offer the utmost hospitality and are happy to share the in-depth history of the inn. 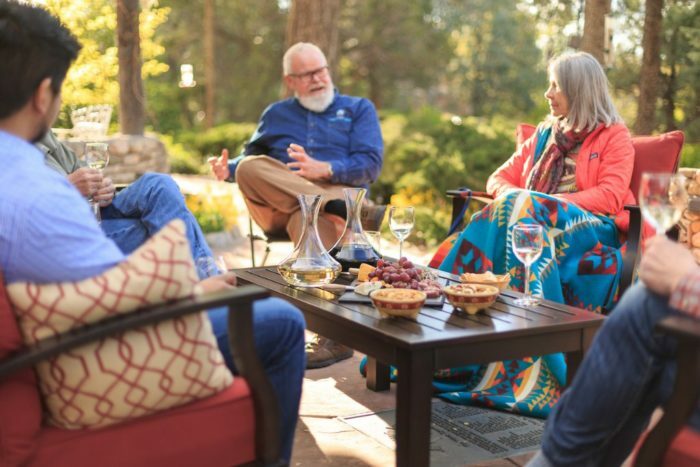 Inn of the Turquoise Bear is truly a special place, and an unforgettable stay. This bed and breakfast has some of the most generous amenities around. Each restored room is unique in its own way, and every morning a multi-course breakfast is served. 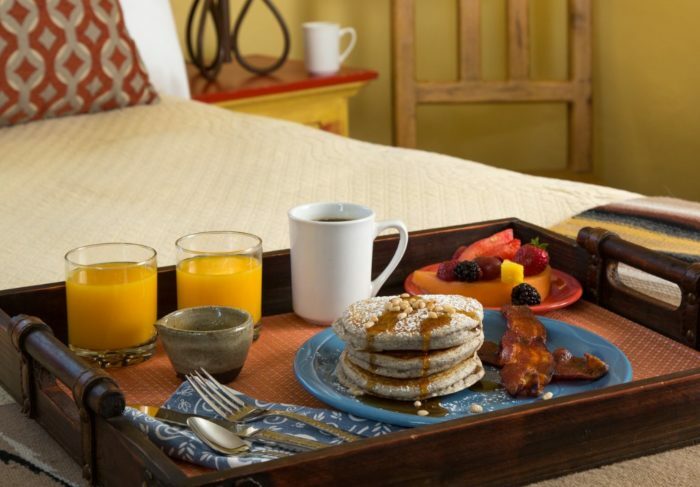 Enjoy breakfast in bed or upon the patio within the beautiful gardens. Stop back later for afternoon tea or the complimentary wine hour. In the colder months, wood burning fireplaces are available in many rooms for the coziest atmosphere around. 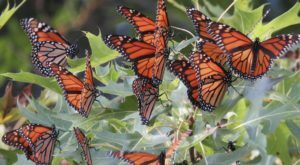 Many famous artists including O’Keeffe, Cather, Millay, Lawrence, Stravinsky, and O Henry have all stayed at the inn and have helped shape the amazing property into the incredible bed and breakfast that it is today. 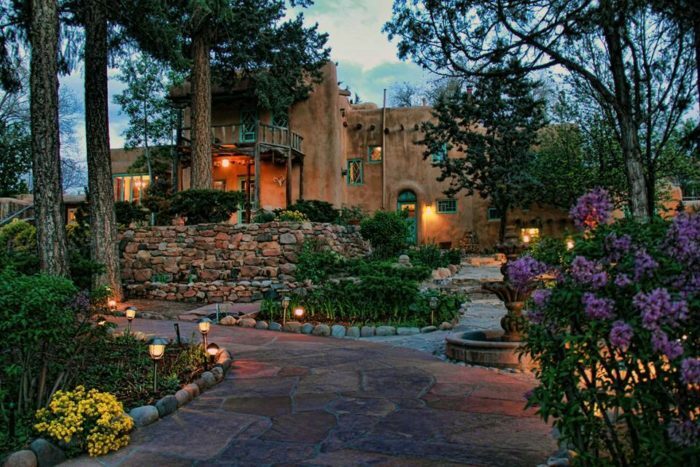 For a truly authentic and unique getaway, this historic, turquoise inn in Santa Fe, nestled in the foothills of the Sangre de Cristo mountains is an otherworldly experience. 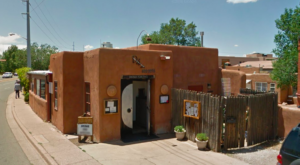 Inn of the Turquoise Bear is located at 342 E. Buena Vista St., Santa Fe, NM. 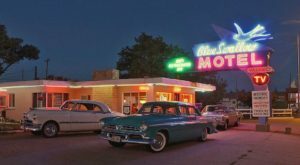 For more information or to book a room, you can check out their website right here. 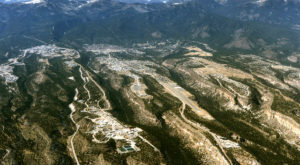 Have you ever taken a trip to Inn of the Turquoise Bear? 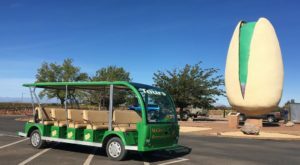 Let us know was your experience was like in the comments, and don’t forget to share photos from your picturesque getaways in our New Mexico Nature Lovers Facebook group, or tag us on Instagram by tagging #onlyinnewmexico for a chance to be featured! 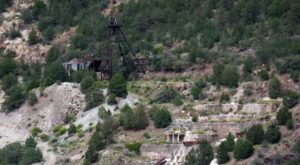 For another delightful stay in New Mexico, check out this hot springs hotel that will melt your stress away.